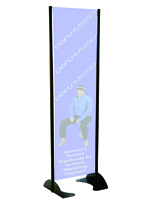 This 18” x 72” black permanent banner stand is designed to be mounted outdoors, but is so versatile it can be used inside as well. 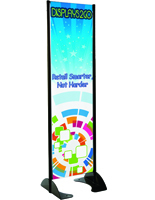 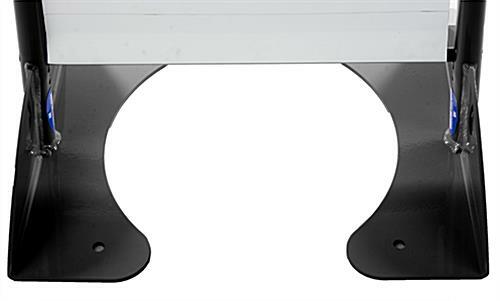 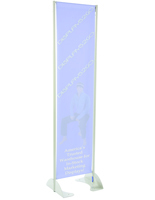 These 100% aluminum advertising fixtures are a great display solution that will hold your large posters taut. 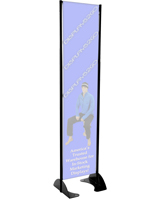 The banner stand has a powder coated finish and a spring-loaded tension bar for a firm, but adjustable hold on your sign. 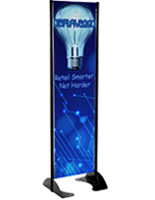 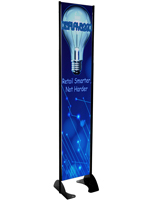 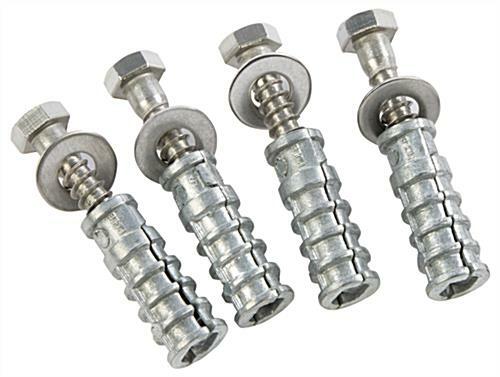 Ideal for parking ramps, banks, restaurants, and tradeshow displays, each fixture can be mounted to concrete, wood or other hard materials. 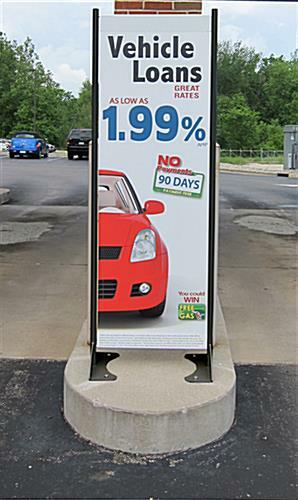 Capable of withstanding many types of weather, the outdoor display solution can withstand winds of up to 60MPH! 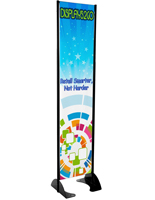 The banner stand is a great way to present your large advertising posters in an eye-catching way.